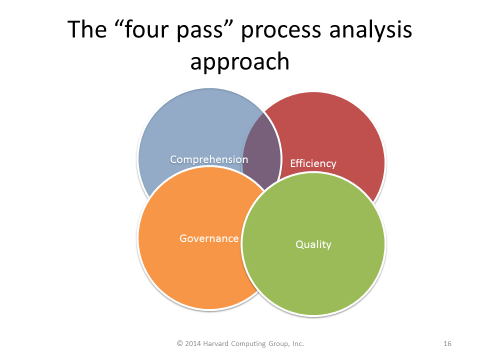 By using a four step process for all analysis, each process gets the same consistent treatment. While many operations believe only the specialists should be doing the analysis, HCG does not adhere to this approach. The primary reason is the real experts on your process and operations are the team members themselves. Therefore, by giving them the means and tools to do this analysis a much more beneficial result will occur. 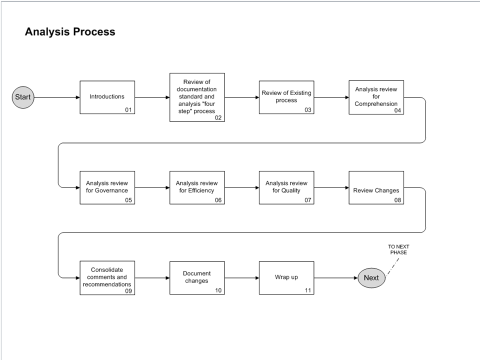 The four areas are reviewed sequentially, not concurrently, allowing for each view of the process to concentrate on the areas relevant for area. (e.g. 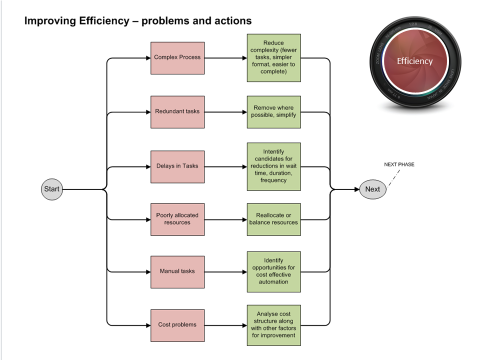 quality, efficiency, compliance etc.) This allows for each result to deliver the greatest potential, based on a detailed review of the criteria for each discipline. 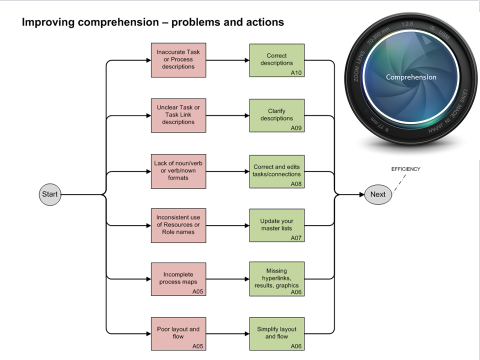 HCG uses this “lens” concept to review each area, beginning with comprehension to make sure everyone can understand the content of the process map to begin with. This continues through efficiency, quality and compliance until complete.